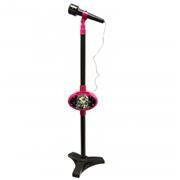 You're the star of any ghoulightful gig with this Monster High Fangtastic Microphone Stand! 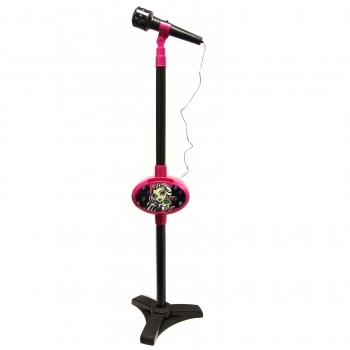 This creepy-cool set features 4 rock-style demo songs and flashing lights for loads of spooktacular fun. You can even connect your own iPod or MP3 player for a personalized performance.